MHHC Foundation, the philanthropic arm of Morris Heights Health Center, is cognizant of the importance of decisive action and unremitting support of a collective in addressing health and social disparities for those we serve. Since 1997, the Foundation has mobilized over $50 million through its annual Impact Awards Gala, to enhance the programs of MHHC and support the more than 57,000 patients who call the multi-site health system their medical home. In 2013, the Foundation established a need-based scholarship program to provide financial support to low-income, college-bound students from the Bronx-empowering our youth to seek diverse, postsecondary academic opportunities. To date, the MHHC Foundation has awarded 63 scholarships totaling $320,000 to Bronx students. It is collaborative and reputable community partners that provide the necessary framework for us to continue living out our vision of "Improving Health, Impacting Lives." Learn more about our IMPACT scholarship, or apply today and join the long line of IMPACT scholars! 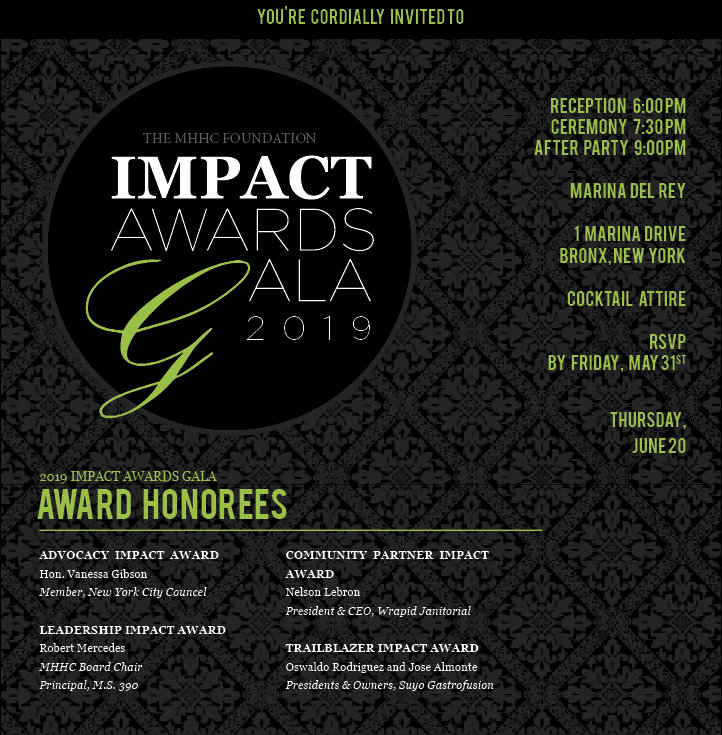 For more information on the 2018 Impact Awards Gala, please email development@mhhc.org.